Yoder’s Restaurant is Sarasota’s local old-fashioned establishment for American and Amush fare. People come here for the homemade pies served at their restaurant and full take home meals from their deli market. 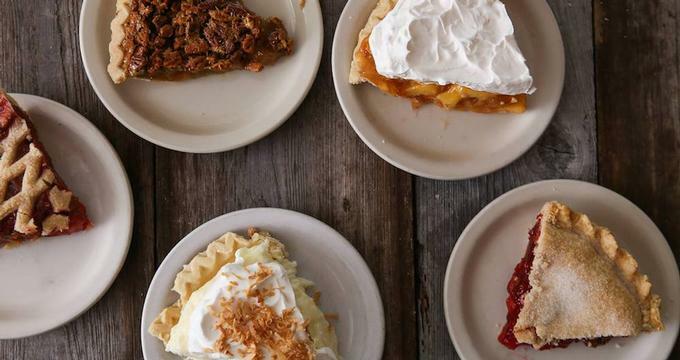 Although plain and simple, Yoder’s freshly baked pastries are well known that diners will always remember to make room for pie. The gift shop has business hours which vary depending on the time of the year, but it’s generally open from morning until evening every day except Sundays. The Deli and Produce Markets both open Mondays to Saturdays from 8:00 AM to 8:00 PM. Yoder’s also serves dessert in a separate menu. They also have daily specials as well as monthly specials. Yoder’s offers special rewards for its loyal customers. Those who wish to be part of the rewards program can sign up at the restaurant’s official website, where they can get valuable gifts and special discounts simply for signing up. For more information, visit the restaurant’s official website, or call 941-955-7771.